The Infant Classroom is designed to meet the individual needs of each child. All infants receive holding and nurturing throughout the day by their primary caregiver and other staff as well. We believe that this close contact with infants helps them to form significant bonds and attachments. We also believe that holding and cuddling are an important part of each child’s day. You often observe the staff rocking the children, holding them on their laps, and in general, “being with the children on their level” which is generally on the floor. When we sit at their level we open their opportunities to initiate interaction with us. The curriculum in the Infant Classroom serves the basic needs of the infant. The environment is designed to be warm, safe, inviting, and challenging. The classroom is coordinated to challenge the various ages of infants in the room at any given time, and we continue to make the environment challenging as the infants develop. Throughout the child’s experience, their caregivers keep track of developmental changes and set appropriate goals for each child. Goals serve as guidelines for caregivers as they plan activities for their group. The Infant Room teachers helped tremendously when I was first heading back to work, making me feel comfortable and welcome. 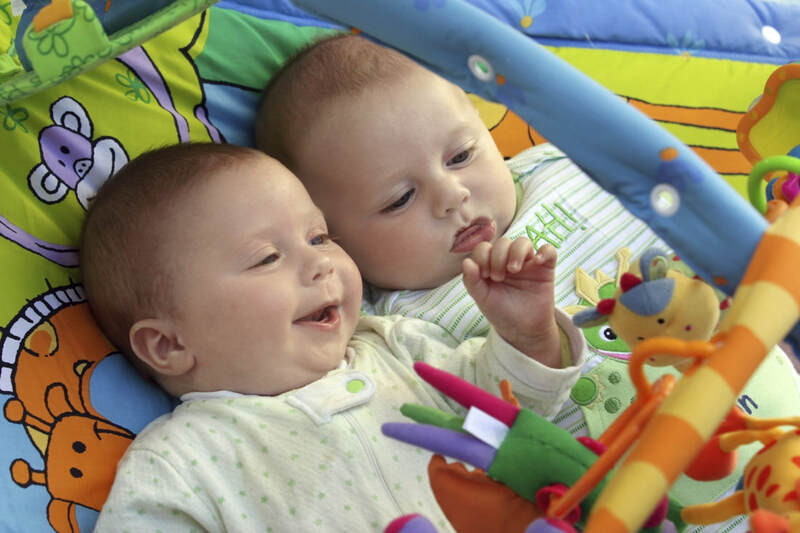 The babies play in a fun, safe environment, and the staff is caring and attentive.